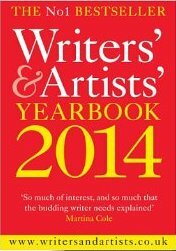 Just a couple of weeks ago, I posted here an announcement that I’d started writing for the esteemed Writers’ & Artists’ website (the 21st century manifestation of the the Writers’ & Artists’ Yearbook). And like buses, as soon as one post opportunity came along, a second swiftly followed. My second post went live at the end of last week while I was off in the Forest of Dean with my daughter’s school residential trip, (oh, the magic of modern technology!) This one shared my take on writers’ retreats – that they shouldn’t be seen as self-indulgent holidays for writers who want to hide from the real world, but as valuable opportunities for ambitious authors to improve their art, focus their ideas and build their confidence. “Constructive escapism” is how I preferred to phrase it. As I type this post, my guest article is currently featured on the Writers’ & Artists’ homepage, with an illustration of a Greek beach. Why the Greek beach? That’s because the post includes a reference to the Homeric Writers’ Retreat and Workshop that I’m helping to run on the island of Ithaca at the start of August. Not only does that setting offer blissful escape from the pressures of the modern world, making it easy for the authors taking part to focus on their art – it also includes the notional presence of perhaps Greek literature’s most famous author: Homer, whose Odyssey focuses on the mythical Ithacan isle. 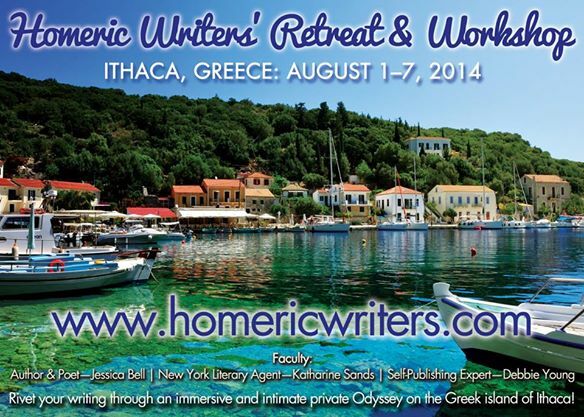 If you want to find out more about the Homeric Writers’ Retreat and Workshop, check out its website here – and lose yourself in the gallery of Erika Bach’s stunning photo gallery of Ithaca. And in case you missed it, here’s my previous post about writing for Writers’ & Artists’.